All in one seo pack is highly demanded WordPress plugin for seo by every WordPress user either he/ she is blogger or seo specialists. I also use all in one seo plugin in my all blogs to fulfill all basic seo need of blog for Home page as well as posts and other pages etc. 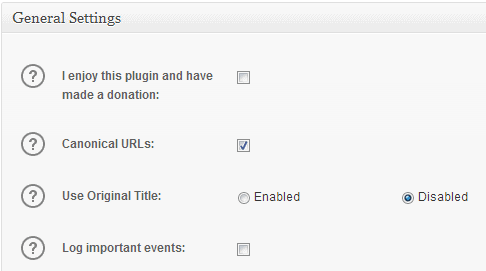 I want say this best WordPress seo plugin completes almost 50 % of seo our blogs or websites. By using All in One SEO WordPress plugin we can easily add Meta Title, Description & Meta Keywords in every post and in home page also. With the help of this All in one seo pack WordPress plugin you can control Indexing of Tags, categories or post in search engines and can verify Google Analytics & webmaster tool kind of thing. Here we are going to suggest you best recommended setting for your all in one seo plugin to get highest output by using it on your own blog. This field completes the SEO of your main domain or Home Page for Meta Title, Meta Description & Keywords also. Meta Title – first mention your website name then write your title, total number of characters in title can be up to 60. Meta Description – It should be less than 160 characters and your should use keywords in it in descriptive manner. Meta Keywords – You can write 3 – 5 keywords in Meta keyword field. Title plays a vital role in success of your blog’s seo performance and here we are going to describe you how you can optimize all in one seo plugin for Title. 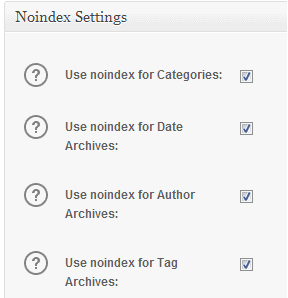 This is most important setting of this WordPress seo plugin because with this setting you can control what to index or what to not. Here in image below just learn what I do for index control on my blog. 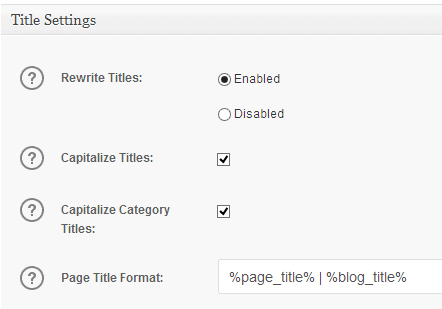 Above mentioned are the way which I use to optimize All in one seo WordPress plugin for my blog. You can take its advantage of it easily.